What kind of skills do you need to run a hotel? I don’t know that I have any really great skills other than a joy of doing business with people, making sure they are happy and ensuring the kitchen and all other functional aspects of my property are right up to par. You manage the resort business and the hotel business by walking around and ensuring the kitchen is running, the bathrooms are perfect, the bedrooms are well adapted, that your housekeeping department is on the job and that the grounds are well taken care of. These are all things that you have to watch carefully because they are a reflection on your operation. I would usually be up at 5am, as soon as the light begins in Canada, and fully immersed in the many things that needed attention that day: the needs of the kitchen, the front desk and the housekeeping department to start with. The grounds are also very important - the waterfront, canoes, sailboats and tennis courts need to be ready. I would then check that the pool was clean, that the grounds were prepared and that the golf course was ready for my guests to play. You need staff who are responsible but, really and truly, unless you are there to supervise and see what’s going on and make sure those things are being provided for your guests, they could have disappointing experiences. I didn’t want disappointing experiences, so I was fully engaged from morning to night. The last thing at the end of the night was to make sure the bar was closed and that nobody was lost in the hot tub or something like that before I went to bed. A typical day is never typical. Something would happen in each day that would create my work. There might be a crisis here or a joy there. There was something going on all the time - it could be a wedding to take care of or just lots of small jobs. So, you are never bored. In fact, the day would go and I’d wonder what happened to it! What’s a challenging aspect of your job? Staffing is a huge issue. The industry has changed considerably since I got into it thirty five years ago. We had local staff who were committed to working in my establishment because it was there, it was convenient and they had a background in it already. Today, those peoples’ children are sophisticated. They’ve gone to university; they’ve gone ahead. They all want to be in high tech business. So, you are often employing people from abroad that have no experience in the industry. You may have to train them. There could be a language problem. Then, you may have union issues, so you need to look at what it is that you are going to commit to and what you want to do. What type of person thrives in the hotel industry? In my particular case, I lost my first marriage because of my absolute immersion into my properties. You’ve got to examine that: what are you prepared to sacrifice for the business? Ultimately, if you end up with a pocket full of cash but lost your family, it’s not worth it at all. I’m a perfect example. I’m a total dropout. I didn’t go to school until I was nine and I left when I was sixteen. My father was dead when I was three and my mother when I was twelve. So, it was sink or swim. When I came to Canada, I didn’t have anybody to come to and no one to fall back on. If you cater to the needs of others and you are observant, then I think you are a winner right there. 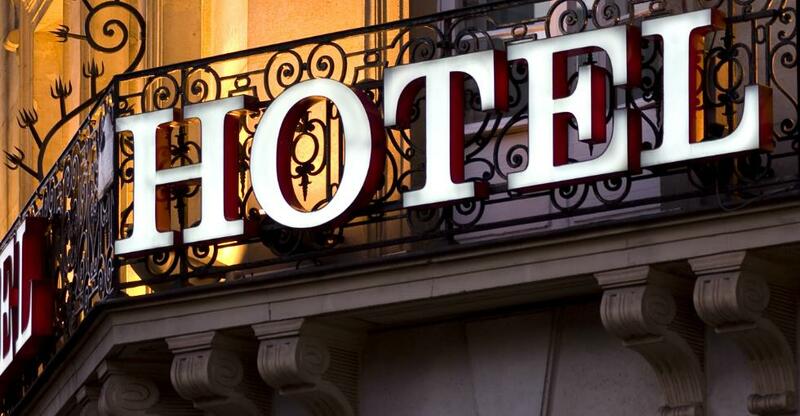 What one piece of advice would you give to someone considering buying a hotel? My advice to anyone getting into this business is to avoid the food industry because that can be like quicksand. It’s difficult to staff, margin of profit is very small and you are going to have to ensure your guests are always extremely happy. You may go overboard on your food costs and the operating costs are high so it’s easy to erode profit. To get into the industry, find an operation that doesn’t have food service. If it’s a resort hotel, you really can’t avoid it because you are going to take care of all of those entities. The thing that you have to ask yourself is what are you prepared to give up in your present lifestyle, to own and operate a hotel, because it’s is a huge commitment. You now have a constant responsibility, whereas in your previous experience, you might have had a check coming monthly and you had free time to enjoy with your friends. You may indeed have to give up your bridge or tennis game or trip to the fitness club. What am I prepared to give up in order to have this lifestyle? It’s lovely. I’m 75 and there’s never a moment where I wake up and think that I would not love to be back in the business. I’d love to be back in there again. And I probably will.